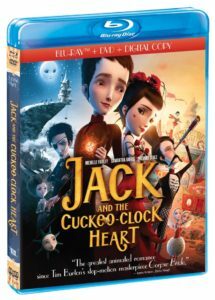 Jack And The Cuckoo-Clock Heart Blu-Ray Review - Are You Screening? Born on the coldest day in the history of the Earth, Jack’s heart is frozen solid. To save his life, midwife Madeleine grafts a tiny cuckoo clock into his chest to take its place. Everything will be fine, she tells him, so long as he follows three rules in order to keep things running smooth – He can never touch the clock’s workings, he has to control his anger, and he can never, ever… fall in love. We skip ahead to Jack entering his teens, and learn that he isn’t content to continue the sheltered life that has been imposed for his protection, and he wants to go to school. This naturally leads to much bullying (in order to promote anger), a smattering of gear-fiddling, and, of course, someone for Jack to instantly fall in love with. He soon learns the torment of losing that which throws your clock out of whack, but when he is forced to suddenly flee his home, he unwittingly begins a quest to find his love again. The plot progresses like a child’s improv, and comes complete with the sort of details you’d find in their post-holiday drawings. It’s imagination run wild, and manages to bubble over with the perspective of wonder adults are constantly trying to beat out of non-adults, and is able to thus deliver an emotional perspective that simply no longer makes sense to most. 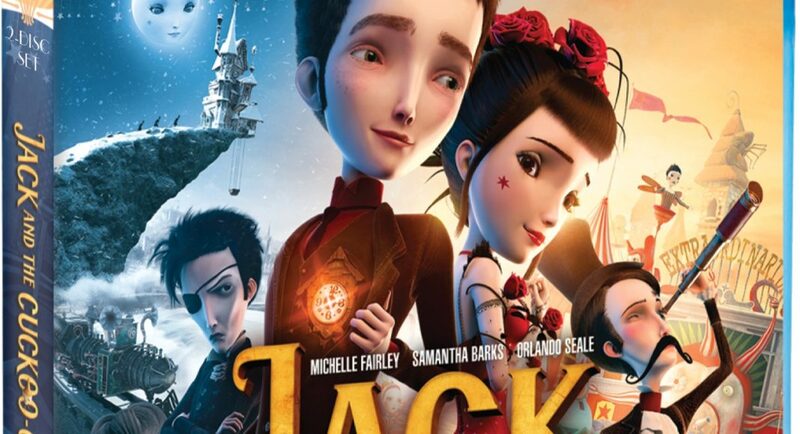 Whether it’s Jack’s loss, sorrow, merriment, yearning, or just his uncertainty, the film’s delivery opens a window we haven’t looked through in a long time. In the end, it all comes together to form a kind of celebration of things we didn’t realize we were supposed to celebrate, and even a tip of the hat to things we thought we were supposed to actively dislike. From the simplest notes relating to teen angst, to the broader themes of control, identity, and happiness, the potential unpacking of this “children’s story” is mind-boggling. That it is contained in a story that highlights a child-like viewpoint, with a dedication to fun, and some great music, is impressive. But, what really makes it great is that it also manages to legitimize that viewpoint in a way that is accessible within the fun. It’s a movie that, while a bit scary at times for the very young, “talks up” to kids in a way that few films dare, but also dares to mark the reality of the fears, hopes, and loves of children that are not only mostly dismissed, but have the societal stamp of approval on that dismissal. 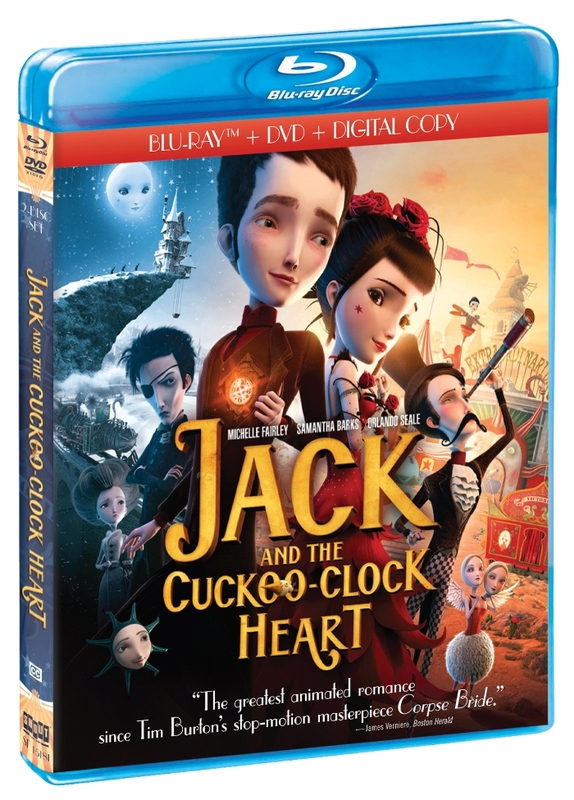 It’s a treat for young and old alike, and easily one of the best animated films of the year. Be sure to check out the clips below, which showcase some of the songs. Unfortunately, there aren’t a lot of special features. You get some character vignettes, which are pretty fantastic though, and a From Book to Screen Featurette that does a fair job, and touches on several spots of interest, but makes you wish for more.